KIEV, July 14. /ITAR-TASS/. Militiamen in the south-east of Ukraine said they had downed two government warplanes, and destroyed nine army tanks, one armoured personnel carrier and several mortar positions. The militiamen now have a Grad multiple rocket launcher, artillery systems and an attack plane. Meanwhile, the Ukrainian authorities are continuing an “anti-terrorism operation” in the Donetsk and Luhansk regions. Ukrainian President Petro Poroshenko met with the heads of security agencies earlier in the day and noted “the need to change the tactics so as to narrow down” the operational zone, the presidential press service said. 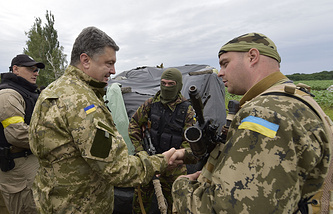 He instructed the director of the state-owned weapons company Ukrobonprom to urgently increase arms supplies to the army. 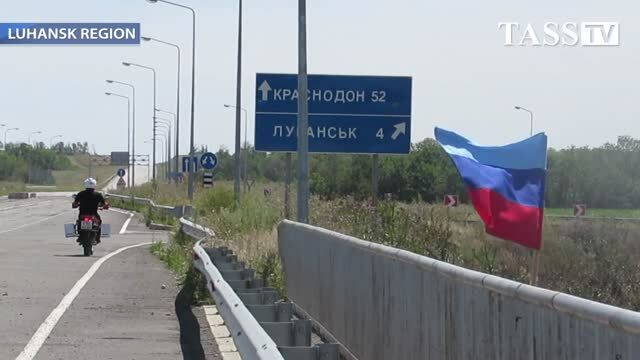 The militiamen in Donetsk, however, are determined to defend the city and have not received any orders to evacuate the population, Klavdia Kulbatskaya, spokesperson for the Donetsk People’s Republic (DNR), said. 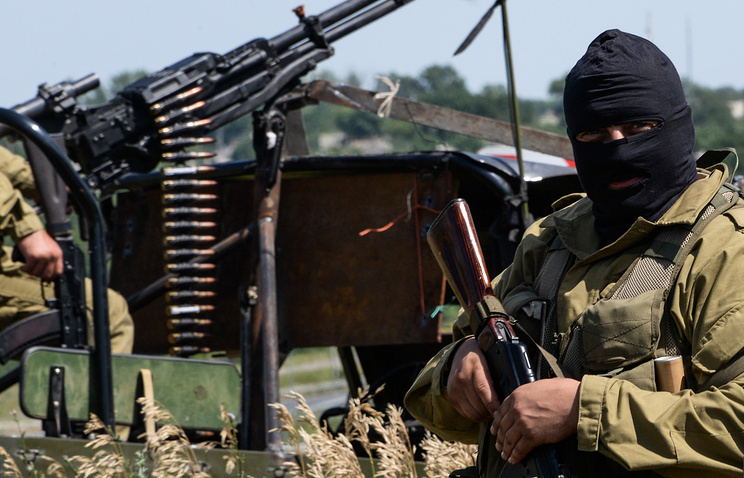 Militiamen in the Luhansk region said they have downed a government warplane. Earlier reports mentioned three downed planes in the Luhansk area on July 1, 11 and 13. They did not confirm the Ukrainian Foreign Ministry reports that the army had recaptured the village of Roskoshnoye and said they were still controlling it. The situation in Luhansk is not calm: the Ukrainian army has been reported to be conducting fire in the area of the local bus terminal. However everything is quiet in Donetsk where the DNR authorities are planning to start television broadcasts in Russian from July 15. The Russian Federal Migration Service (FMS) has registered a growing number of civilians coming to the country from war-torn regions in neigbouring Ukraine. According to the latest data, more 30,000 Ukrainians have requested the status of refugee or temporary asylum in Russia. “As a rule, mainly men enter the country for purposes of employment. Now the number of women has doubled on the whole. The most objective indicator is that the number of children who have entered Russia has doubled too. There are almost 220,000 of them in Russia now compared to about 100,000 last year,” FMS Head Konstantin Romodanovsky said.